Another year of gaming has come to an end, and what a year it’s been. 2012 was a great year for gaming across all platforms, and some would argue that it has been one of the best years in gaming history. However one platform that you may have overlooked is the iDevice. Yeah, you heard me. The iDevice has served as a platform for some great games this year, and you’d be a fool to underestimate the quality that can be found on these pieces of tech. In order to celebrate the brilliant games that can be found on your iPads, iPods and iPhones, we’ve teamed up with various developers to give you the chance to win a selection of the best the App store has to offer. Incoboto: "When The Corporation causes all the suns to go out, a small boy named Inco and his strange friend, Helios, go on a galaxy-spanning quest to light the skies once more." Lost Winds 2: "The award-winning, enchanting ‘LostWinds’ adventure continues! Amazing new season-switching gameplay. Incredible new wind powers at the tips of your fingers. Beautiful visuals. Expansive new environments to explore. Charming new characters, and an absorbing storyline." Nihilumbra: "Discover the beautiful world of Nihilumbra and join Born on his adventure to find himself whilst trying to escape from his inevitable curse." OLO: "OLO is an addictive game of skill and strategy, a new generation social board game for all ages. Play with up to three friends or play online against anyone, anywhere." Out of the three bundles available two are compatable with the iPad and one is compatable with the iPhone/iPod Touch, so when entering please specify which one you would like to win. You must also be running iOS 4.3 on your device in order to enjoy all of the games on offer, so make sure you check, and if need be update, before entering. Let's get down to the serious business of how you can go about winning one of these bundles. In order to be in with a chance, you must simply tell us what your favourite game of 2012 was. That's it. Elementary, right? It can be any game, on any platform, that has been released this year. How do you tell us what your favourite game was? Easy! You can enter by posting your answer in the comments sections below. Remember to include an email address and to specify if you want an iPhone or an iPad bundle, so that if you do win, we'll be able to get in touch and send you the right bundle. You can also enter via twitter by following me and then tweeting at me or direct messaging me. You can find me on twitter under the name @kerrblimey. Again, remember to give me some way of contacting you and to also let me know which bundle you would like. Finally, you can enter by liking gamrReview on Facebook and posting your response there. Again, remember to give us some way of contacting you and to specify which bundle you want. Winners of the three bundles will be contacted by me directly in a week's time on January 7. That's all the information you lovely guys and gals need, and I'm off to begin my new year celebrations early. Good luck, and have a fantastic new year! In a sweet "State of the Polytron" post, Fez designer and sole Polytron employee Phil Fish revealed plans to port his cryptographic adventure game to platforms beyond XBLA in 2013, potentially platforms with friendlier policies toward updates. "Yes, i've heard you, dozens of people emailing me everyday telling me how much of an idiot i am for not porting FEZ to everything," noted Fish. He also teased future developments relating to Disasterpeace's soundtrack for the game (which you can buy here) and "something about a US branch" of Polytron. Fish also reaffirmed plans for two more games, and expressed interest in designing non-game projects. "I want to design everything," he said. "Maybe not a videogame? Maybe something else entirely. I JUST DON'T KNOW." 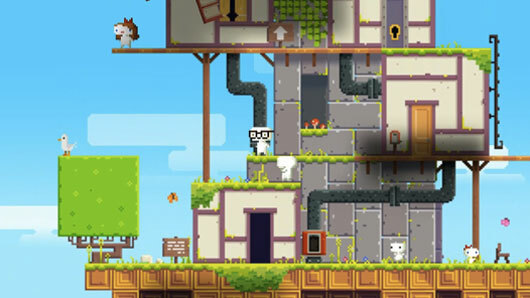 Fez coming to other platforms in 2013 originally appeared on Joystiq on Mon, 31 Dec 2012 14:00:00 EST. Please see our terms for use of feeds. There are no games in the top 40 to be in its final week before launch. As a reminder the Pro data is back up, which means that I am taking requests again for games outside the top 20. One game has 200,000 or more pre-orders, the same as last week, and the top nine has 100,000 or more pre-orders, the same as last week. One game added 20,000 or more, up from zero last week and eight added 10,000 or more, up from four last week. There are no games in the top 40 to be in its final week before launch. Overall software sales are expected to increase by around 45 percent. Overall hardware sales are expected to increase by around 45 percent. 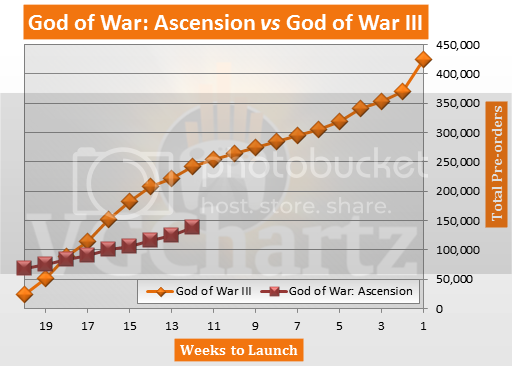 God of War: Ascension (PS3) added 12,763 pre-orders, up from 9,052 last week, for a total of 137,582. The game is 104,000 pre-orders behind God of War III. The game is 12 weeks away from launch in the USA, March 12, 2013. 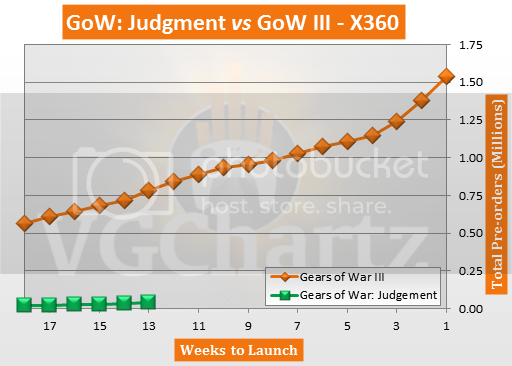 Gears of War: Judgment (X360) added 5,448 pre-orders, up from 4,376 last week, for a total of 38,028. The game is 747,000 pre-orders behind Gears of War III. The game is 13 weeks away from launch in the USA, March 12, 2013. 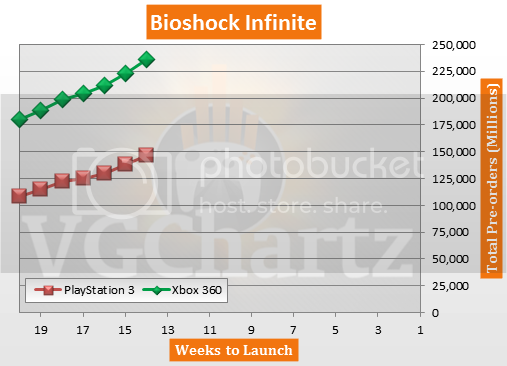 Bioshock Infinite (X360) added 13,733 pre-orders, up from 11,021 last week, for a total of 236,299. Bioshock Infinite (PS3) added 8,499 pre-orders, up from 7,226 last week, for a total of 146,165. The game is 14 weeks away from launch in the USA, March 26, 2013.
Notable mentions: Grand Theft Auto V (X360) added 19,843 pre-orders for a total of 144,952. Grand Theft Auto V (PS3) added 17,271 pre-orders for a total of 126,202. StarCraft II: Heart of the Swarm (PC) added 15,927 pre-orders for a total of 135,166. Requests: Fire Emblem: Kakusei (3DS) added 4,573 pre-orders for a total of 12,868. Killzone: Mercenary (PSV) and Soul Sacrifice (PSV) are not in the pre-order charts yet. If your favorite game isn't in the top 20, leave a comment requesting which game you want to see and the most requested games will be added in next week's article! The Top 40 can be seen below or click here to go to the USA pre-orders page. Dead or Alive 5 will soon allow direct uploads of your match replays to YouTube (on PS3) and Facebook (on both PS3 and Xbox 360.) The functionality is part of the "Ver. 1.03" update, which is being prepared for an unspecified time. The company revealed this feature on its Twitter account, where it also talked about other patch changes, like the ability to search for matches by connection quality, and "throwdowns" added to ranked matches. The above footage is a test of the direct upload. Troublingly, it's in 360p. "And did you catch some of the little tweaks to the fighting game itself?" Team Ninja teased, revealing the existence of other gameplay-oriented changes that longtime players might be able to spot. 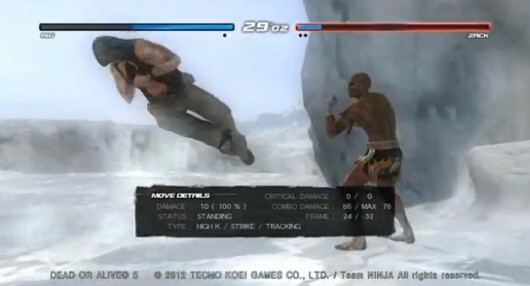 Upcoming Dead or Alive 5 patch adds direct video uploads originally appeared on Joystiq on Mon, 31 Dec 2012 10:15:00 EST. Please see our terms for use of feeds. Far Cry 3 hunted down the top spot in the UK's final week of software charts for 2012, gleefully kicking Call of Duty Black Ops 2 off its perch after six consecutive weeks at the top. Ubisoft's exotic adventure actually slipped in sales by 5 percent this week, but the promotional offers that took it to second place the week prior helped it go one better at the close of the year. FIFA 13 also clambered over Black Ops 2 as Treyarch's shooter dropped to third, while Hitman: Absolution also took a short tumble to fourth. The only intruder in a largely familiar top ten is a returning old entry, with Forza Horizon racing up 11 places to 10th on the back of, you guessed it, more holiday discounts. As the UK charts gear up for another year of climbs, falls, disappointments and successes, you can reflect on the final top ten of 2012 after the break. 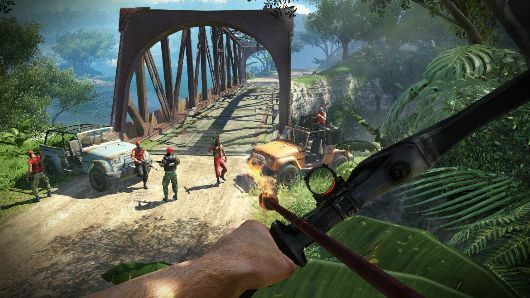 Far Cry 3 is king of the jungle in last UK charts week of 2012 originally appeared on Joystiq on Mon, 31 Dec 2012 09:45:00 EST. Please see our terms for use of feeds. The Xbox Live service experienced some hiccups recently with its cloud save feature and now Microsoft is making amends with a free month of Xbox Live. Microsoft notes it's automatically applying a one-month extension to impacted customers. There is no need to call support if you were affected by the outage. 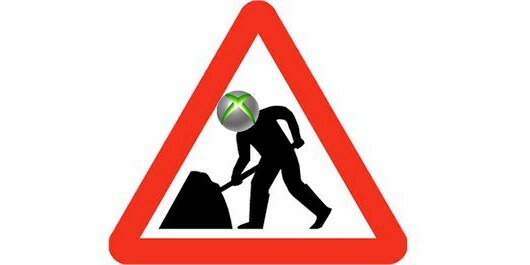 Xbox's Major Nelson posts that the company knows who couldn't reach the cloud and will handle it on their end. Late last week Xbox Live customers reported outages and other issues, along with the cloud save file problem, which would bounce back error "0x807b0198" when trying to load a file. Microsoft apologizes for cloud save issue, doles out free month of Xbox Live originally appeared on Joystiq on Mon, 31 Dec 2012 09:15:00 EST. Please see our terms for use of feeds. Looking for a last-minute getaway destination before 2013 grinds into gear? Why not try the lush, wildlife-infused terrains of Tamriel, on sale today on Xbox Live Airlines? Just don't forget to bring your dragon repellent. Yes, the last Countdown to 2013 deal of the year brings discounts for Oblivion and Skyrim on Games on Demand, as well as their DLC. Today's deal slashes Skyrim's price in half to $29.99, as well as taking 50 percent out of the Hearthfire and Dawnguard add-ons. However, at the time of writing Hearthfire is still at the regular 400 MSP, although Xbox spokestype Major Nelson indicates the price should lower later today, Dawnguard is rightfully half-off of 800 MSP. Meanwhile Oblivion gets a 33-percent-sized chunk ripped out of it, that taking the previous Elder Scrolls game down to $9.99. There are discounts for its DLC too, with the Shivering Isles and Knights of the Nine add-ons half-price at 600 and 200 MSP respectively. Skyrim, Oblivion wield deal-blades in Elder Scrolls sale on Xbox Live originally appeared on Joystiq on Mon, 31 Dec 2012 08:30:00 EST. Please see our terms for use of feeds. Update: The Hearthfire DLC is now at the indicated on-sale price of 200 MSP. 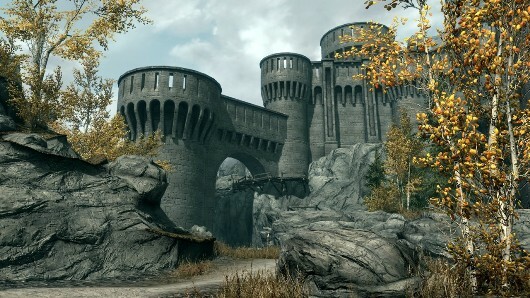 Skyrim, Oblivion wield deal-blades in Elder Scrolls sale on Xbox Live [update] originally appeared on Joystiq on Mon, 31 Dec 2012 08:30:00 EST. Please see our terms for use of feeds.